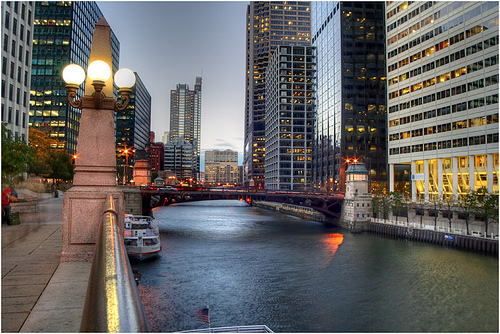 The third largest city in the United States, Chicago had a population of nearly 2.7 million residents at the time of the 2010 census, and covers 237 square miles of land. The city's population is 33% African American, 28% Hispanic, 5% Asian, and the remainder mostly non-Hispanic white. It is also one of the most segregated cities in the country, with a black-white dissimilarity score of 75.9 percent according to a study of 2010 Census data, with African-Americans living primarily in the south and west side neighborhoods of the city. Known as “the city of big shoulders” for its past reliance on heavy industry including steel and meatpacking, Chicago experienced significant industrial loss in the second half of the twentieth century. The result – as with other post-industrial cities – was population loss and urban decay. Starting the 1990s, however, those trends began to reverse as the city gained population due to a wave of new, young, and largely Latino immigrants. Meanwhile, median household income grew at twice the national average. Much of this had to do with the continued importance of the city as a transportation and trade hub, but also as a growing finance and tech center. Community wealth building institutions have played an important role in the city's turn-around as well. Chicago has a strong history of community organizing and development rooted in labor and anti-poverty activism going back to the days of the settlement house movement started by Jane Addams in 1898 and galvanized by Saul Alinksy in the 1930s with his Back of the Yards Neighborhood Council. Ultimately Alinksy’s Industrial Areas Foundation and organizations like the Woodlawn Organization (TWO) gave Chicago a reputation as a center for organizing. At the same time, community development corporations in Chicago have earned national recognition. Mayor Harold Washington – the first African-American Mayor of the city who served from 1983 until his death in 1987 – worked to integrate neighborhood-oriented economic policies at all levels of city government. These community-building legacies live on in city neighborhoods, programs and policies, with anchor institutions increasingly stepping up to the plate today. Both DePaul and the University of Illinois, Chicago, have actively promoted community partnerships. 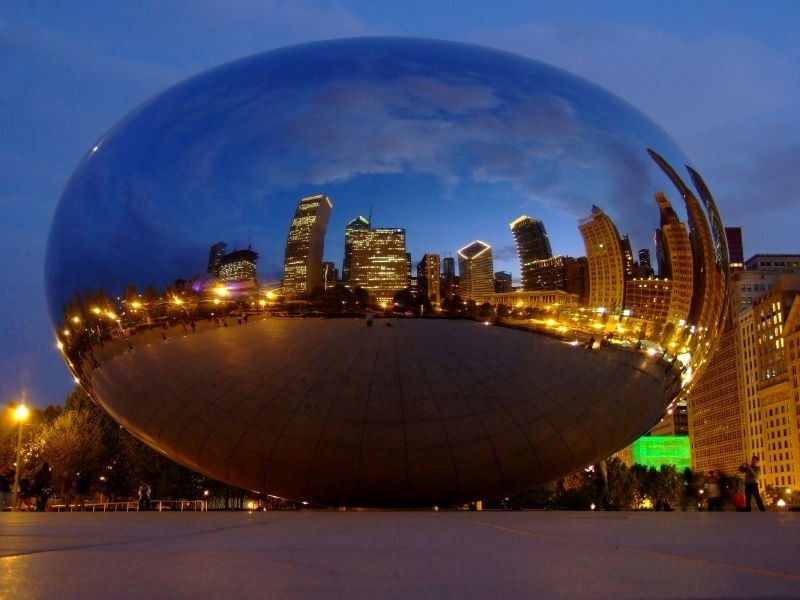 A new effort known as Chicago Anchors for a Strong Economy (CASE) connects institutions to local suppliers to fill their procurement needs. And New Era Windows attracted national attention in 2012 when its workers bought out their employers and took over production of energy-efficient windows in a new factory location. Chicago Anchors for a Strong Economy (CASE) is a group of Chicago-based anchor institutions that are committed to using their purchasing power to help boost the local economy. Participating anchors identify their procurement needs, and CASE helps identify and connect local firms to these opportunities. To date, CASE has helped 236 businesses to secure new contracts with anchor institutions, resulting in 180 new jobs and $50.6 million in revenue through multi-year anchor contracts. Founded in 1967 to serve low and moderate-income residents in Chicago’s West Town, Humboldt Park, Logan Square, Hermosa, and Avondale communities, Bickerdike Redevelopment Corporation has produced more than 1,328 affordable homes and rental units. Membership and voting privileges are extended to individuals who live or work in the target area as well as organizations operating there. In 1992, Bickerdike developed the food market El Mercado, where locally owned Cermak Produce serves as the anchor business, employs over 50 people, and is committed to ensuring that at least 75 percent of its jobs are filled by local residents. Bickerdike also owns the social enterprise Humboldt Construction. The company, incorporated in 1981, provides union construction jobs and contracting services for Bickerdike and employs an average of 15 carpenters annually. The Greater Southwest Development Corporation (GSDC) is a CDC leader in commercial and industrial development. Successes include developing a supermarket, attracting the interest of developers seeking to build a ten-screen movie theater, and bringing a newly constructed plastics manufacturing plant owned and operated by an African-American female entrepreneur to a previously underutilized site at 77th Street and Columbus Avenue. Since its establishment in 1974, GSDC’s initiatives have resulted in over $500 million in development activity in southwest Chicago. Established in 1987 by Lawndale Community Church to help revitalize the Lawndale neighborhood, the Lawndale Christian Development Corporation (LCDC) aims to promote holistic revitalization through economic empowerment, housing and commercial development, youth and adult education, and community advocacy. To date, LCDC’s work has resulted in more than $100 million in commercial and residential development, including more than 360 units of affordable housing. Local Initiatives Support Corporation Chicago (LISC Chicago) connects neighborhoods to the resources they need to become stronger and healthier. Its flagship program is the New Communities Program (NCP) Network, a partnership with 16 community-based "lead agencies" that coordinate the work of more than 70 partners across 28 community areas. The NCP methodology centers on the development of “Quality-of-Life Plans” under the supervision of a local lead agency selected by LISC in each participating neighborhood. Seed funding, technical assistance, and other forms of support are then provided to the lead agency and partner organizations to execute the plan, which typically involves housing, commercial and retail development, employment, health care, parks and recreation, child care, educational quality, the arts, and community security. In 2014, LISC made 180 grants totaling $8.2 million to 53 partner organizations and provided six loans totaling $7.8 million. The Near West Side Community Development Corporation (Near West) was founded in 1988 to create a viable, mixed-income community in West Haven without displacing low and moderate-income residents. It not only maintains and helps develop the area’s commercial corridor but also offers a range programs focused on job preparation, life skills training, and financial literacy; social services to public housing residents; permanent housing to residents facing homelessness; and diverse youth programming. Moreover, as a lead agency for LISC Chicago’s New Communities Program, Near West works directly with residents to develop, design, and execute sustainable community development strategies. Founded in 1999, the North Lawndale Employment Network (NLEN) provides employment services and transitional jobs to North Lawndale residents, many of whom face significant employment barriers. In 2004, NLEN launched Sweet Beginnings, a social enterprise that produces and sells all-natural skin care products featuring its own urban honey and provides full-time transitional jobs to formerly incarcerated individuals and others NLEN clients. In 2016, NLEN served a total of 2,200 people, of which 347 found employment. Focused on the South Side communities of North Kenwood, Oakland, and portions of Douglas and Grand Boulevard, Quad Communities Development Corporation (QCDC) convenes residents, organizations, businesses and institutions to plan, guide, support, and monitor human infrastructure and community development activities. As a lead agency for LISC Chicago’s New Communities Program, QCDC led an 18-month planning process, bringing together over 400 community residents and stakeholders to develop a 10-year Quality of Life Plan, and now implements and supports other groups in implementing community development projects outlined in the plan. Moreover, as one of Chicago’s Neighborhood Business Development Centers, QCDC connects businesses to city incentive programs, financial resources, networking opportunities, and technical assistance. Aiming to revitalize the low-to-moderate income communities of Auburn Gresham, Englewood, Greater Grand Crossing and West Chatham, GAGDC focuses on designing and implementing programs that improve community economic viability; increasing the availability of quality housing; maintaining and improving existing affordable housing; and enhancing the delivery of social services, particularly to senior citizens. As the lead service provider to Special Service Areas 32—a designation created in 2001 to boost investment within the 79th Street Business District and funded through a special property tax levy—it also provides targeted marketing, maintenance and beautification, economic development, facade enhancement, and safety programs to businesses in the Auburn Gresham Business District. Aiming to build relationships and challenge people to act on their faith and values to create healthy communities through organizing, education, and community development, The Resurrection Project (TRP) works to revitalize the predominantly low-income Latino communities on Chicago’s Southwest side. Its core programs include financial education and counseling, property and asset management, real estate development, community engagement and education, and economic development. In 2013, it worked with several partners to convert a failed bank into Second Federal Credit Union, helping preserve an estimated $141 million in community assets. Since 1990, TRP has leveraged $346 million in community investments, empowered more than 57,000 people, and developed 733 affordable homes and 264,292 square feet of community facilities. Founded by the social service-focused nonprofit The Woodlawn Organization (TWO) to coordinate its real estate development and management activities, the Woodlawn Community Development Corporation (WCDC) has developed more than 2,000 units of single family and senior housing since its establishment in 1972. WCDC also manages over 5,000 units of housing and relies on a holistic approach to ensure its residents are connected to essential educational and social services. Launched in 1994, Accion Chicago is an alternative lending organization dedicated to providing credit and other business services to small business owners who do not have access to traditional sources of financing. Unlike conventional financing groups that make loans based on revenue, collateral, and/or credit, Accion Chicago’s lending is largely character-based and relies on a client’s commitment to his/her business and references from customers and suppliers. Since its inception, Accion Chicago has made nearly 4,000 loans totaling $31 million. Established in 1935 by a small group of United Airlines employees, Alliant now serves employees and members of about 250 diverse organizations and residents of 20 Chicago neighborhoods. With over 335,000 members nationwide and over $9.3 billion in assets, Alliant ranks as the 8th largest credit union in the nation. Over a decade ago, Alliant launched a Civic Affairs Program to formalize and emphasize its commitment to the community. Through one initiative catalyzed by the program, Alliant employees have been teaching financial literacy classes to students in Chicago area public schools since 2005. Chicago Community Loan Fund (CCLF) provides low-cost, flexible financing to nonprofit community development organizations for affordable housing, commercial development, and nonprofit facility initiatives. Since 1991, CCLF has grown from an initial investment of $200,000 to over $70 million in total capital under management. To date, it is credited with closing more than $150 million in community development financing, which has or will leverage an additional $1.1 billion in public and private sector financing for Chicago-based development projects. The Community Investment Corporation (CIC) provides loans for the acquisition, rehabilitation, and preservation of affordable rental housing in the Chicago metropolitan area. To do so, it manages a $225 million loan pool, which includes funds from 40 investor banks that have made multiyear commitments to CIC. Since 1984, CIC has made over 2,000 loans totaling $1.2 billion for the rehabilitation of more than 55,000 units that provide affordable housing for upwards of 130,000 people. IFF, formerly known as the Illinois Facilities Fund, provides loans and real estate consulting to nonprofits based in the Midwest, with a particular focus on those that serve low-income communities and special needs populations. It is the largest nonprofit CDFI in the Midwest and one of only a few nationally to earn the CDFI Asssesement and Rating System (CARS) AAA+1 rating. Established in 1988, IFF now has assets of more than $498 million. In 2015, its loan program made 117 loans totaling over $95.5 million—resulting in the creation or maintenance of 3,713 jobs. Founded in 1974 by a small group of women who believed all people should have equal access to capital, North Side Federal Credit Union aims to provide affordable banking services and expand the availability of alternative financial resources. North Side has a “social change” philosophy based on the notion that alternative resources can lead to a more economically just community and greater financial stability for its membership. The credit union currently holds over $4 million in deposit accounts and has disbursed more than $45 million in loans since its inception. Founded in 1989 by students at the University of Chicago, the Qumbya Cooperative now provides housing for roughly 50 student and non-student members in four houses in Chicago's Hyde Park neighborhood. Headquartered in Chicago, Amsted manufactures industrial components primarily for the railroad, vehicular, construction, and building markets. It operates 49 facilities located across 11 countries and 6 continents, and has more than 18,000 employees. Since 1998, the firm has been 100 percent employee-owned. Kennicott is one of the oldest continuing operating businesses in Illinois. Dr. John A. Kennicott founded The Grove Nursery in 1836 and Kennicott Brothers Company, which incorporated in 1881, became the first wholesale florist company in the Midwest. In addition to its store in downtown Chicago, it now operates 16 other locations servicing 10 states. In May 2000, Kennicott became a 100 percent employee-owned company when the Kennicott family used an ESOP to transfer ownership to the firm's employees. The firm now has over 300 employee-owners. Elevate Energy (formerly CNT Energy) is a "think-and-do" tank that combines research with effective solutions. Elevate Energy focuses on helping customers and communities access the information and services they need to control energy costs and become more energy efficient. Through relationships with municipalities in the Chicago region, utilities throughout Illinois, and other non-profit environmental organizations, Elevate Energy is able to achieve actual results in providing innovative solutions to energy challenges. Energy Savers, one of its core programs that aims to improve the energy efficiency of apartment buildings, is credited with retrofitting nearly 26,900 units, creating over 565 jobs, and saving 17,477,200 kWh of energy—enough to run nearly 2,752 refrigerators for a year. Good Food Business Accelerator is the first accelerator in the U.S. focused on building local supply chains around “good food,” defined as local, sustainable, humane, and fair. To do so, the accelerator provides hands-on workshops, seminars, access to capital, and one-on-one mentorships to food and farm entrepreneurs ready to launch or scale up. Since its establishment in 2014, the accelerator has helped area businesses raise more than $23 million. Established in 1998, Green City Market is a nonprofit marketplace for local, sustainable food that educates, promotes, and connects local farmers and producers directly to chefs, restaurateurs, and the public. Committed to educating people about the importance of sustainability, the Market also provides free educational resources and runs a range of programs focused on local issues related to sustainability. One key initiative is its “Edibles Gardens,” which is a public space featuring 5,000 square feet of organically grown vegetables, fruits, herbs, grains, and flowers designed to show people where their food comes from. Urban Canopy aims to grow more healthy food in Chicago in a way that creates local jobs, empowers communities, reduces environmental impact, and is sustainable. Founded as a small public school project in 2011, Urban Canopy is now a for-profit enterprise that grows thousands of wheat grass and micro-green trays in an indoor growing space. It also operates a CSA, manages and supplies farmers markers located in underserved communities, runs a Compost Club, and offers incentives such as coupons for its produce to encourage participation. Officially opening in 1955, Chicago’s O’Hare airport is now the sixth largest airport in the world in terms of passengers per year. The airport is credited with supporting 450,000 jobs in the Chicago region and generating $38 billion of economic activity. With a strong commitment to sustainability, O’Hare houses the first airport-based rooftop aeroponic garden that provides airport vendors easy access to fresh produce, affords preferential treatment to compressed natural gas taxicabs, and runs a range of programs to encourage sustainable practices including wetlands restoration and soil reuse. It also is the site of the largest airport-based apiary in the world, which provides job experience for disadvantaged populations through its partnership with Sweet Beginnings. The Garfield Park Conservatory aims to grow community through the combination of people, plants, and place. To do so, it offers a variety of free programs, including hands-on training in gardening, composting, and beekeeping. It serves nearly 170,000 people a year, including more than 15,000 Chicago school children. The Anixter Center began to operate businesses as a means to provide work skills training to people with disabilities. Today, these businesses include a packaging service and a janitorial company. In recent years, these enterprises have generated over $3 million in annual revenue, equivalent to roughly 10 percent of the nonprofit's total annual income. The Chicago Lighthouse was founded in 1906 by a group of women volunteers who were both blind and sighted and offered housing, clothing, and food assistance to people who were blind. In 1977, the nonprofit launched its first social enterprise to provide meaningful employment to its clients while generating new revenues for the organization. Today, Chicago Lighthouse runs several social enterprises, including customer care centers, contract management services, and Chicago Lighthouse Industries, which manufactures products including clocks and calendars. Together, these enterprises provide permanent jobs to over 400 people who are blind, visually impaired, disabled, or Veterans. Growing Home is a Chicago-based organic agriculture business that provides farm-based training to people with employment barriers and access to healthy foods for residents of Southside Chicago’s Englewood community. In 2016, Growing Home provided job training to 52 people, harvested over 35,100 pounds of organic produce, and operated 38 farm stands through which it sold reduced price produce to Englewood residents. Created by Bikerdike Redevelopment Corporation to ensure its development work could create skilled job opportunities for community residents, Humboldt Construction Company is a social enterprise that serves as a full-service, general contractor and carpentry subcontractor specializing in residential and commercial construction, value engineering, and project planning and management. Since its start in 1981, Humboldt has employed and trained over 100 local residents in living-wage union jobs. The enterprise’s work, totaling $100 million in rehab and new construction projects, has created over 1,000 housing units in over 150 buildings, two transitional group homes, a community cultural center, a grocery store, and other retail space. Moreover, through subcontracting relationships and the use of local suppliers, Humboldt helps sustain hundreds of additional living wage jobs and keeps money re-circulating in the community. As a wholly-owned subsidiary of the North Lawndale Employment Network (NLEN), Sweet Beginnings offers full-time transitional jobs to formerly incarcerated individuals and others with significant barriers to employment in a green industry. Sweet Beginnings produces and sells all-natural skin care products featuring its own urban honey. The workers at Sweet Beginnings deal with every step of the process from caring for the bees and hives, to harvesting the honey to packing the products, to selling them at retail outlets and special events. In 2014, Sweet Beginnings created 18 full-time jobs for NLEN clients. Established in 2016 to ensure that the growth of downtown Chicago catalyzes equitable development across the city, Chicago’s Neighborhood Opportunity Fund uses revenue from downtown developments to finance commercial and cultural projects in neighborhoods lacking private investment. The fund aims to support projects that will have a catalytic impact on the neighborhood and lead to the development of new commercial spaces or cultural establishments. Included in the criteria used to select grantees is a project’s impact on community wealth, which includes an assessment of how communities benefit from the project and the extent to which local entrepreneurs, property owners, and residents are included. The Fund’s first round of grants is expected to disburse about $4 million. The Illinois Asset Building Group, first convened by the Woods Fund of Chicago in 2003, has proposed an extensive policy agenda that includes expanding access to financial education and financial services, removing asset barriers in public benefit programs, supporting children's savings accounts, promoting affordable housing and homeownership, and combating predatory lending. Aiming to close the racial wealth gap, expand savings opportunities, and protect Illinoisans from predatory financial practices, the Chicago-based group focuses on policy development, coalition building, stakeholder engagement, educating policymakers, and advocacy. University of Illinois at Chicago’s Great Cities Institute (GCI) is a research center committed to creating, disseminating and applying interdisciplinary knowledge to urban affairs. It implements dozens of teaching, research and service programs designed to improve the quality of life in metropolitan Chicago and other urban areas. Among its programs is its Neighborhoods Initiative, which works with local community groups on health, technology, leadership development, and other issues of mutual concern. Through this initiative, GCI serves as the group responsible for providing project management, community engagement, and evaluation around Chicago’s Participatory Budgeting Project, an effort that has engaged over 13,000 residents in 12 different communities around deciding how to spend over $18 million in public dollars. Opened in 2012, Comrade Cycles is a worker-owned full-service bicycle shop. Committed to the community, the owners are actively involved in creating biking infrastructure across Chicago to benefit all riders. The enterprise currently has seven worker-owners. Established in 1969, Salsedo Press is a worker-owned, certified minority business, union printing shop. Salsedo provides pre-press, digital printing, and bindery services. The business aims to be environmentally responsible relying on a petroleum-free, toxin-free, vegetable-based process.